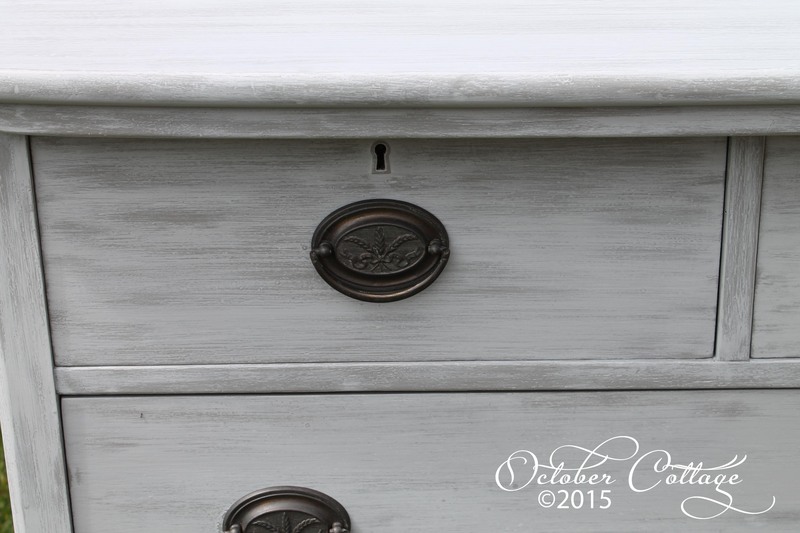 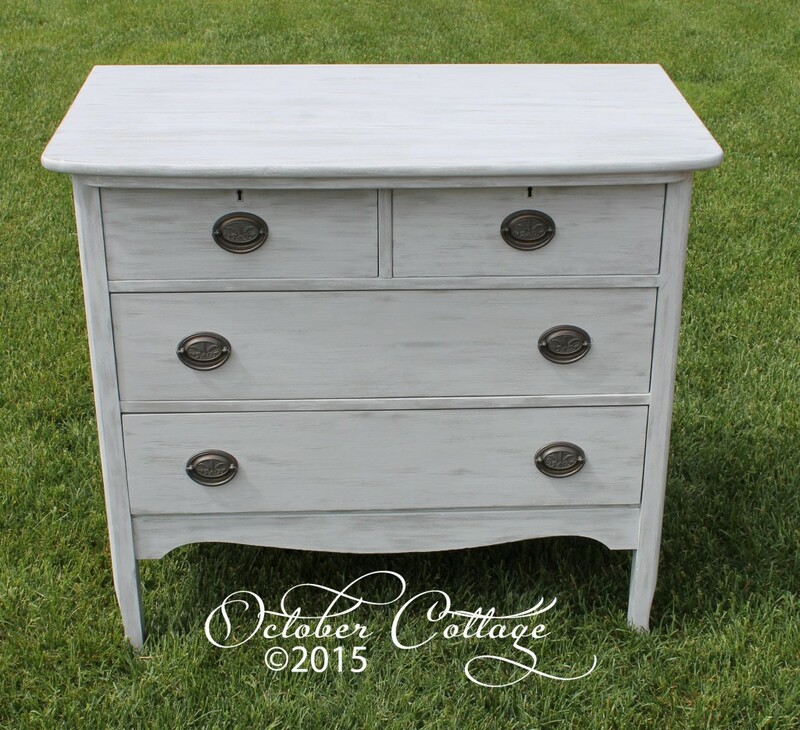 A great little four drawer dresser. The original hardware was restored. 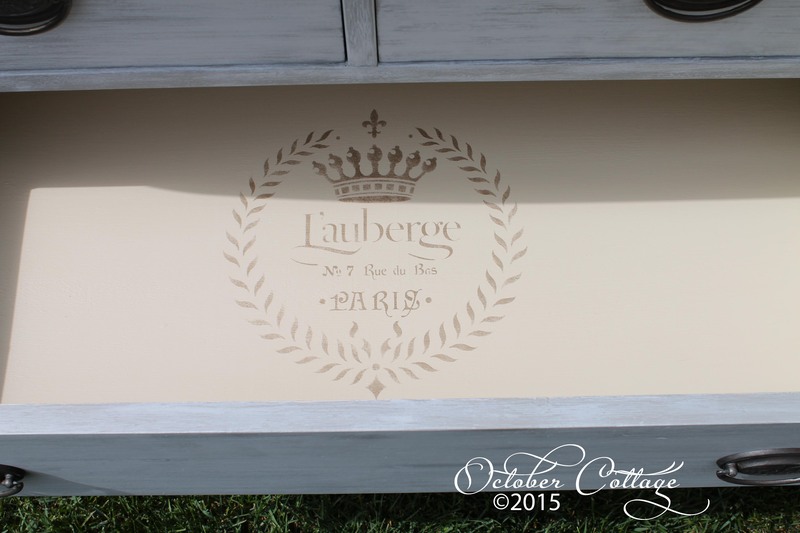 The unique graphic in the drawer gives the piece its name.